...clunky at first. I found myself clicking over and over again to get the player to leave an area to avoid getting caught and it not taking at first. I got used to it quickly but there is concern that interest of some players might not be held long enough to overcome the learning hump. A lot of time is spent meeting characters and hunting for item pickups much like old school point and clickers. This leads me to one of my gripes with the game. Boring family quests broke up the game for me. I didn’t care if the daughter found her dolly, but the game sure seemed to care. It was the sneaking and spying that got me interested in the game and the whole family aspect of the game just feels shoehorned in. Quests are given with an hour timer which keeps the pressure on, but since it doesn’t use real time hours, there is always somewhat of a question as to how much time I really have left to complete a task. One of the major things that eventually got me to put the game down was that I was approaching 15 active quests and no resolutions were available. The game kept piling on more things it wanted me to do, but I wasn’t really experiencing the satisfaction of scratching things off my quest list at that point. The overall style is a non-verbal cartoony mix of what I can only describe as a spectacular display of the colors brown and black. The characters are nicely distinct in their silhouette so there is never any question as to who is who. This is especially important when tring to sneak into someone’s apartment without getting caught. 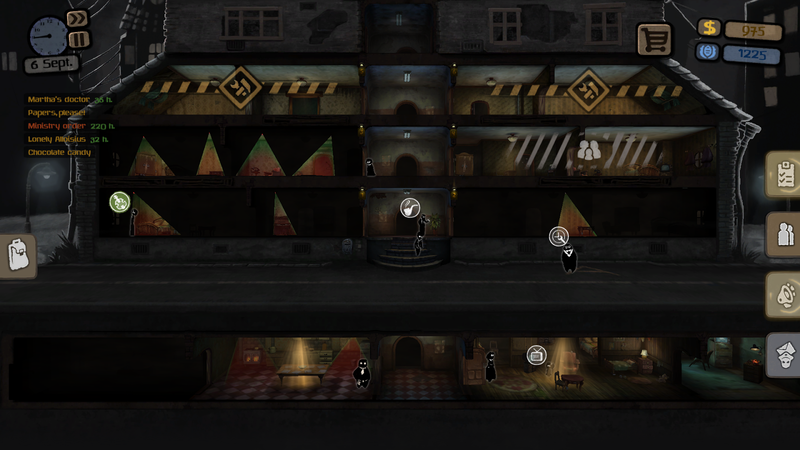 Where this game really shines is in the richness of the tenants. The characters that you have to actually spy on are widely varied from sweet old people to gruff burly sailors. One of the things that the dev’s did very well is making all of the characters distinct, and yet not making it black and white who is good and who is bad. Likeable people will have flaws, which I think makes it more believable and ultimately, that’s the key that is going to get users opening the game up a second and third time to continue a save file. 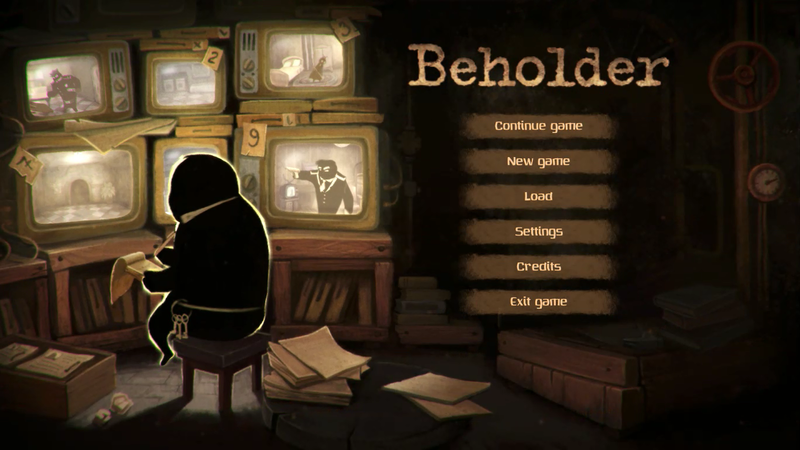 Ultimately the more I played beholder, the more I felt like it was a game about hanging around in an apartment building rather than being a dystopian watcher. I would have liked a bit more immediate danger early on and some of the slow building tension felt like it was a little too slow building, but the setting is genuinely entertaining. Breaking into people’s apartments to set up surveillance and root through their things was always a lot of fun. 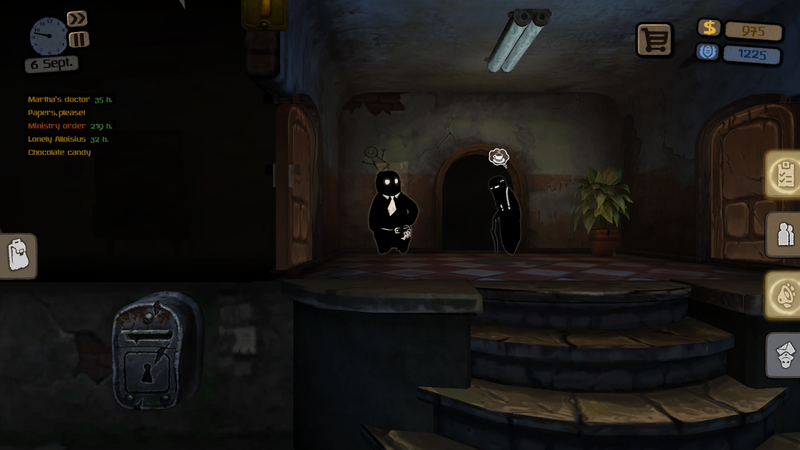 If you like sneaking and point and clicking, you’ll enjoy what Beholder has to offer, although I was disappointed to find out it had nothing to do with that big floating head from Dungeons and Dragons.